Jim Mulvihill: Thank you to all of you, members of the media for joining us today. August is always a great time to be a racing fan with this rapid succession of Grade l races we have at Saratoga and Del Mar. This weekend it’s the Whitney Handicap and the Alfred G. Vanderbilt at the Spa and the Clement Hirsch out West. The first of those, the Whitney Handicap, of course, is a win in your automatic qualifier for the Breeders’ Cup Classic. It will be featured on this week’s installment of the NBC Sports Summer at Saratoga Series, Saturday from 5:00 to 6:00 pm Eastern. Note that this week’s broadcast will be on the flagship network NBC, three of the seven shows are on NBC while rest are on cables NBC Sports Network. 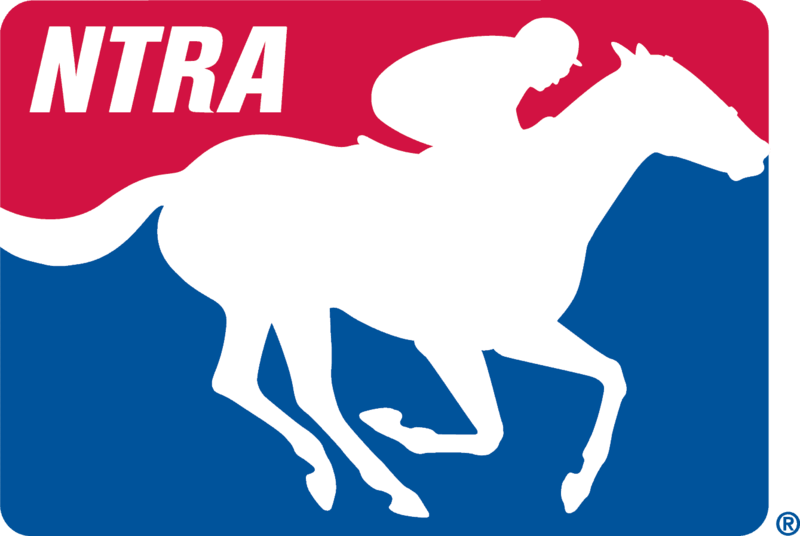 The Whitney will also be broadcast live on the Horse Racing Radio Network, that’s also from 5:00 to 6:00 pm Eastern. In addition to all this Grade l action this weekend, the $750,000 West Virginia Derby is on Saturday. Departing and over analyzed making their first start spec since the Triple Crown are the big names pointing to that Grade ll event. The race will be shown on several regional Fox Sports Net affiliates, including Root Sports, MSG Plus and Prime Ticket. That broadcast also start at 5:00 pm Eastern. There won’t be a teleconference next week so I ask you now to mark your calendars for August 11th at 10:00 am Eastern. The Jockey Club’s Annual Round Table conference on matters pertaining to racing will be held in Saratoga Springs but for the benefit of all, it will be streamed live online at jockeyclub.com. This is a great opportunity to hear about the most pressing issues in our sport and how they’re being addressed. August 11th at 10:00 am Eastern for the Jockey Club’s Round Table. With that, let’s get to today’s guests and the pressing issue of who will win these Grade l events this weekend. Later in this call we’ll have Maggi Moss, whose crack spirit sprinter Delauney will contest the Vanderbilt on Sunday and trainer Ron Ellis whose mare Include Me Out will defend her title in Saturday’s Clement Hirsch at Del Mar. But first I’m pleased to introduce trainer Ian Wilkes. Ian Wilkes is an Australian native, he went out on his own in 2006 and while he’s had graded stakes winners like Neck ‘n Neck and Island Bound. His most productive runner to date is the horse we’ll be talking about today and that is defending Whitney Handicap winner and Breeders’ Cup Classic hero Fort Larned. Ian Wilkes. Thanks for joining us today. Ian Wilkes: Thanks for having me on. Jim Mulvihill: Of course. Ian, Fort Larned posted a bullet up there at Saratoga yesterday, five-eighth in a minute and three and I understand you started another horse out there in front of him. Can you tell us about that work, describe it to us and also give us a little bit of your reaction to it. Ian Wilkes: Yes. Young Guy just worked mornings alone and sometimes I’ll put some horse with him just a training piece on a rope, give him something different to look at. I just put a horse in front of him yesterday and actually the horse in front of him got away on him a little bit which is—that was okay because I told Brian just to concentrate on (inaudible) work. He did that well because he did the first quarter in :25 and change and then picked it up a little and then he was able to pick that horse up down the lane (inaudible) and gallop out strong. That was what the main thing I was looking at is just how he finished and how he galloped out. That was important. Jim Mulvihill: Excellent and you mentioned his regular rider Brian Hernandez Jr. who travelled there specifically for this work. Was that by your request and is that the normal—the norm for Fort Larned? Ian Wilkes: Yes, well Jim last year we did it, Brian come up and working, we got the work up here because I was able—last year I had a pretty stable working—work mate (ph) (inaudible) Neck ‘n Neck. He was able to work with him last year and (inaudible) on the side lines. I just needed these regular riders, they get on so well and that’s why I asked Brian to talk to him and Mrs. William was quite happy about Brian come back and working and so that was important. This was another important work that we just had to get it right and Brian coming into that was—that was good. Jim Mulvihill: Excellent. Now you know Fort Larned we all saw had a tough start to this year. With the disappointing efforts he had to start 2013, did that make the win in the Foster more gratifying that even it might have been otherwise? Ian Wilkes: Yes, it was important because last year we didn’t do too well.. The whole racing season was the Foster and doing that race was very gratifying and yes it’s getting back on track just to show everyone that he wasn’t just a one-year wonder. He won the Breeders’ Cup and I then he never come back to race. You know the horse never let us down, he still shows us that he was good, I just needed to get a little bit luck and get that contract with him and we’ll be fine. Jim Mulvihill: And now he’s ready for the Whitney this weekend and this is a race that he won last year. If you can—do you see any difference between where he’s at right now and this time last year when he won this race? Ian Wilkes: Not really. He’s probably more battle tested now, he’s overcome a lot of adversity and still come back and run good. That’s what you like to see internally (ph), he’s never hung it up or anything like that. So probably a more battle tested horse now. Jennie Rees: Ian, can you just sort of talk about the potential history of being only—I think it was only the fourth horse maybe to win the Whitney twice and only the second (inaudible) consecutive years. I really got you off the training for this (inaudible). Ian Wilkes: Yes, Jennie that’s a really, that’s something you really look forward to being a part of history because not many horses are able to do it because it’s a very prestige race, the Whitney and it’s going to be an honor to do it again back-to-back. (Inaudible) of course with the name Whitney involved, you know, being fortunate enough to train some horses for Mary Lou. It’s very important to me. Jennie Rees: Could you also put in prospective, last year for Whitney history that (inaudible)even though you’d won a Grade l before that it was a break through as far as, you know, is he a (inaudible). But it’s more your stable now. Ian Wilkes: You know that’s funny, I never look at that, I never thought about that, I never worried about that because what Carl’s done for me, it’s tremendous and I’m always going to be grateful. So I’ve never had a problem being Carl’s associate, that’s never bothered me and it still wouldn’t even bother me if (inaudible) people said that now. Jennie Rees: It was huge, that winning that race, last year. Ian Wilkes: Last year, yes. It was, yes. It was a real a starter that changed everything for the horse really, because we come off with the bad race in the Foster,) and then coming to the Whitney and to win that you want to win in the ring (ph) and that changed the whole complexion for the year and that made us point to the Breeders’ Cup. If probably we didn’t win that, whether we go to the Breeder’s Cup that would have been a tough one to enter if we didn’t win the Whitney last year. Jennie Rees: Final question. Could you just talk about the complexion of the field this year, maybe help compare us with last year, some of the same horses, not all the same. And do you wish that Wise Dan was in there. Ian Wilkes: I keep on keeping tallies. I want to run against Wise Dan on the dirt. I want to hook up with him on the dirt, yes. Maybe one day on the road somewhere, but he’s done a tremendous job with Wise Dan and but yes he’s a good race. He’s a new shooter in there, in Cross Tracking He’s a fast horse, has a mean two turns any time you (inaudible) saddles a horse, you know it’s a good horse in the Grade l and then you go to my old partner, Macho Man and then Successful Days It’s a good horse. He’s a Grade l battle tested horse so this is no easy spot. Danny Brewer: You have said in the past that early in Fort Larned’s career you needed to do a better job of listening to your horse. So now as you get ready to, hopefully repeat the winning, what’s he saying to you? Ian Wilkes: Telling me he’s ready. If I’m reading him correctly, he says he’s ready, hope doing great and I couldn’t be happier the way he’s doing. Danny Brewer: Do you think that maybe the things that happened early in year, the adversity could have potentially made him into a little bit stronger of a horse and more of a competitor? Ian Wilkes: It could have done, but I think it didn’t do me any good. I definitely think to overcome and run as good as he did in the Stephen Foster, both the (inaudible) and earlier in the year, the first races, it just shows you the fortitude of the horse. Danny Brewer: Now are you basically looking at the Whitney as a building block for defining the Breeders’ Cup Classic Championship? Ian Wilkes: Yes and no. I’d love to win the Whitney again, that’s very important to me to win the Whitney. I’d love to win it, no I’m not going to use it as prep right yet. I am using it as a prep race, everything is leading to the Breeders’ Cup but no I’m ready (inaudible) ready for this race. Don Janzen: Yes, Ian, I’d like to get back to last year. When Fort Larned won his first stakes, a $60,000 race at Tampa Bay Downs, he was in a six horse field and only was favored over one horse. What were your questions about him going into that race and what questions did he answer coming off that win? Ian Wilkes: Boy, you know, I thought the horse—we go back one start before that I ran him in Tampa. We do have the best of (inaudible) stuck on the fence and we couldn’t get, we just couldn’t him to run and I really wanted to go back and get the season under way and that’s why I was looking back to Tampa to that state and he answered what I thought I he would. I told Ronnie Allen that day just let him run, let him roll along and then take a hold of you and we were able to (inaudible) we had a good trip and we got the job done there. And then if throughout the year I’m going to go Breeder’s Cup cracking (ph) off that. No, I wouldn’t have told you that, I expect. Boy that would have been very ambitious for me, (inaudible) lock me up in an asylum, you know, if I did something like that. Will Springstead: Ian, last year’s Whitney—not that he couldn’t win before but she’s obviously had some success and had success afterward getting to the front and staying there but he had to race. Did you see something in last year’s Whitney’s that you thought she may have turned another corner in that race last year? Ian Wilkes: Yes well the performance in Whitney I still think it’s one of his best performances of his career. He rated behind horses and then when Brian called on him, he put five length on them horses and to be able to do that against the quality field, I thought it was a very good field if he goes back; Flat Out was there; On the Greek was there; (inaudible) was there and there was a very good feel, to be able to open up on them horses like he did and he proved, he’s not one dimensional, he can see it. He can see it off the pace, doesn’t have to have the lead, that’s not something that he has to have and yes that was the turning point of everything just to show you how you how good this horse was and how healthful he was getting. Jennie Rees: Yes, Ian, a follow-up. Obviously you’re great friends with Charlie LoPresti, you have great admiration for all the Dans. Do you know any big season that Fort Larned had last year? What was the (inaudible) that came up short as far as hardware at the end of the season? Ian Wilkes: Yes, that’s a hard—that’s very tough. That was, to me a very gut retching thing. I thought I was owed a horse, you know, to be owed a horse usually nine times out of ten I went to the third horse. Charlie’s horse was there won the all the turf mile and I thought he was the (inaudible) horse a year. I really felt that I was deserved (inaudible) the horse I had and that was a tough thing so I just took a step back from that and just concentrated on my horse and don’t even worry about that and that’s over. I can’t do anything about that, it’s out of my control and all I can do is just find some (inaudible) horse over the year. Jennie Rees: So does that mean this season—is the idea just the logical historical (cross talking) sold their horses or how much are thinking at all about, this year trying to get a championship and now pushing for the top for the rest of the year? Ian Wilkes: (Cross talking). Yes, I’m not thinking about that. I want to go back and repeat in the Breeders Cup, I like to repeat in the Whitney, repeat in the Breeder’s Cup Classics. I want—I didn’t even think about a horse in a year, I’m not worried about that. The main thing is I just—to me my main goal is to get back to the Breeder’s Cup and try and repeat that and obviously this Saturday, that’s important too, the Whitney. Jennie Rees: So are you looking at the sort of the same (inaudible) the way as you ran last year? Whitney, Classic Cup, Gold Cup, Breeders’ Cup (inaudible) in there or something. Ian Wilkes: Yes, that’s a possibility. You know don’t rule out—of course my old thing in June is one race at a time but gives me the (inaudible) on my radar as well because I want to—he’s only ran three times in this year in previous races and boy if he comes out (inaudible). To me, I like using races to go to races and that’s a possibility. Jennie Rees: You say you’ve only run three times, do you think that they were all really three races as far as what it took out of him given the one he lost the rider. The second one he didn’t seem like he had the same sort of effort he had in his other races. Ian Wilkes: Yes, I just like to train on the later part of the year, just get in a rhythm with him, to stay in a rhythm and the horse loves the race and that’s what he likes doing and he shows everyone that he loves to race the day that he got loose and how he ran around there and instead of running with the pack like horses normally do, he went out there by himself and he just loves to run. So my thing is, yes I’m definitely going to look at—we’re going to have a strong finish to the year. Yes. Jim Mulvihill: Ian I’ll ask you one more question before we let you go. You’ve been assigned high weight of 122 pounds for this race, I’ve already seeing for this week that you’ve been quoted as saying that that’s fair and it certainly seems to me that it is. So my question instead is; just in general, how much difference does a few pounds make in a race like this. Ian Wilkes: I thought I was weighted very fairly, that’s fine but you want to watch is how much the other’s come, they drop down. I think Successful Gains (ph) has got four pounds on me since we ran in last time. I think he drops even to 118 where we were both at 121 last time, so that’s fine. My horse ran, he ran good and if you listen to all the old timers, they of course have to carry weight to be good and I thought it was very fair and I got no problems with him carrying that. I’m just not going to be an excuse. Jim Mulvihill: Excellent. Well Ian thank you for joining us today and best of luck on Saturday. Jim Mulvihill: All right Ian Wilkes. Now let’s move on to our next guest on this NTRA National Media Teleconference and that is Maggie Moss. Maggie was the leading owner in North America in 2006 and she’s finished in the top five every year since, amassing nearly 1800 wins. A retired lawyer, she’s based in Des Moines but she runs all over the country and when she runs, she runs to win hitting at a 31% clip. Today we’ll be talking about one of the Nation’s top sprinters, Delauney. The six year old gelding has won eight of ten since being claimed by Moss and trainer Tom Amoss. He swept all three of the open sprint stakes at Fair Grounds last winter. Was named their Horse of the Meet before winning the Churchill Downs going seven eighth on Derby day. Last time out Delauney lost Iowa Spring Handicap as the odds on favorite getting beat by Gentlemen’s Best who also is probable for Sunday’s Grade l $400,000 Vanderbilt. Maggie Moss, thank you for joining us. Maggi Moss: Thank you for having me. Jim Mulvihill: Absolutely. Maggie to hear Tom Amoss tell the story about Delauney coming to his barn, the decision to make the claim was entirely yours. What did you see in him at the time that made you want to own this horse? Maggi Moss: Oh I can’t take full credit for anything. Tom and I work as a team. I don’t think Tom would like that I say I took full credit. What happened is I have always looked over for geldings or (inaudible) as I call them. I think they’re just something I’ve always been fascinated with and he certainly was one of them and he’s changed hands many times. I think exactly what happened is he always has to do the physical, I can do a lot of the work but the physical, he called me and he did not like the way this horse looked. He thought this horse’s coat wasn’t good and that the horse was skinny and that has nothing or anything about the prior owners, he just changed barns. And he was a little reluctant because he thought this horse would need a lot of time to get healthy again and I said drop the claim . And you know we were just really lucky to get him and I don’t know if anyone has seen him now but he looks close to being nine months pregnant and he’s big and he’s healthy and he doesn’t look like a claimer any more. Jim Mulvihill: Right and so last time out at Prairie Meadows that race was hardly a bad effort, he got bumped at the start and you know Rosie had to use him a little bit to get back into contention but we’ve gotten so used to seeing him winning time and again. Do you have any concerns about him after seeing him lose? Maggi Moss: Yes, I think what’s important is sometimes with racing, you just have things go your way and sometimes things just don’t go your way and you know there’s so many things that go into these races and things that can happen. At Prairie Meadows put up—it was quite a struggle with weight on this horse and they originally were going to weight him at 126, 127 and Tom said no we’re going to Calder. You know I should have left it at that because it was a day and a half battle with the weight and we were not happy with the weight compared to what other horses were getting. The next thing that happened is Rosie and the next flight was cancelled. It didn’t look like she was going to make it, she had to sprint across O’Hare, she got here late. Licensing was problematic. So if you get what I’m saying, things were just not going well. I think Rosie, god bless her, had, had a full day of travel. We all know what it’s like when they cancel your flight at O’Hare, you’re on American and have to get to United. The long drive, licensing was cantankerous, so I didn’t feel good about it. The irony of that race is, you know, we still don’t understand what happened at the gate, he’s always been a good gate horse. We don’t know why, you know, that he spotted the field—six lanes, he spotted the field, I don’t know, eight, nine pounds, I don’t remember. frankly because thank god she’s there. You know it always has to do with the track surface. Jennie Rees: Hi Maggie. You point out could have gone to Calder? I think it’s a great (inaudible) down there, a lot more money. You went to Iowa, is it important to you to support your hometown track? Maggi Moss: Well you know in hindsight, 20/20, Jennie. I’m going to talk to you by the way. Hindsight is 20/20, you know in all racing if we could always do re-overs or re-do-overs, we would. I wish we’d gone to Calder, the only reason that I insisted and Tom acquiesce in coming here is, my families here, my Mom’s here. It’s my home track, it’s 12 minutes from my house. I really wanted to see Delauney, you know I don’t get to see my horses very often and I really wanted to see him and you know, was it all worth it, yes. Just to get to see him and have other people get to see him here. You know we didn’t get the results, but 20/20, I wish I could do a do-over. Jennie Rees: If it was that easy! Well you claimed him, I think $40,000, wasn’t it that you all claimed him for? Jennie Rees: What are you expecting to have for $40,000 when you claim for it (inaudible). Maggi Moss: The same thing that we all expect, Jennie, when we claim horses. We expect and hope that they’re healthy and sound. We hope that they don’t have a breathing problem, we hope that they can stay competitive at that level and if you’re really lucky at a higher level. Meaning a higher claim price. Never in my wildest dreams, other than maybe Indian Chant, Temporary Saying (ph), some other horses, are you ever blessed enough to claim one that has done what this horse has done, it’s the aberration not the norm. Jennie Rees: Yes would you say, I mean, is he the best claim? Because I mean I’ve seen (cross talking), the best claim you’ve ever made? Maggi Moss: Yes, I always hate to not—Indian Chant was the one that won the National Title for me in 2006 at Del Mar so, and he was subsequently sold to Dubai, but yes, this is—I think we can all agree, yes he’s the best claim Tom’s made or I have made. Jennie Rees: And I wonder if you first talk about the field as we know it, as you know it from the nominations. You had the rematch with (inaudible). Maggi Moss: Well, I think what we’ve all learned about Saratoga is that, you know and Tom and I talked about the field this morning a little bit and we talked about the weights. He really wasn’t even concerned about the weights, I didn’t even know—we didn’t even know the handicapped it with weight. And I looked at the probable this morning and, you know, Delauney is—has two works over the track and he’s really handled the track and as far as—to me Jennie, it kind of looked like a shorter field and it looked like a field with a lot of speed. But as far as handicapping at Saratoga, at least in my opinion, humble opinion, it doesn’t really matter who the field is or anything, it’s just how these horses handle that track. Danny Brewer: The eight race winning streak that claim in the horse and meant an eight race winning streak. Talk about what that means to you as an owner that has claimed a horse like this. Maggi Moss: Well, quite frankly Danny, it means he owes me nothing. He owes me nothing if he never does anything again. I think that any horse in North America at any level, frankly not to mention this level that wins eight in a row who is something that will—I’m sure it’s never happened with any horse I’ve owned and probably will never happen again. So it means that he is, you know everybody that sees him, including Rosie, you know they always say the same thing. What a cool dude, what a cool horse. It means he owes me nothing Danny. It’s all gravy after this. Danny Brewer: Well, you know, (inaudible) kind of open as far as there has really not been a horse who has stepped up and claimed himself as the best—arguable the best sprinter, so if you could maybe take a few biscuits and sop up some of that gravy with Delauney here. Maggi Moss: Did say, what my plans were? Danny Brewer: Yes, do you think this is a chance for him to sop up a little bit of that gravy and become the best sprint horse in the country. Maggi Moss: Well Danny, you’ll be sort of amused that after Iowa, as I do with most of my older horses and most of my horses that have been good to me, I kind of have a policy that I don’t think horses should be at a race track for over a year. I think that’s too long, I always think horses need to go eat grass and that’s what I wanted to do with Delauney and not because he was slower or unsound or not thriving. He’s probably at the peak of his physical condition. Tom and I had a little bit of a disagreement about that because he said the horse is doing great, why would you do that. And so, the plan, really, was three fold. We could give him a break and gear up for Fair Grounds again because we know he loves that track or we could do what we thought was right by the horse, which is let him compete against the best in the country. Let’s see if he can keep the form he has and if he does, then of course we would consider the Breeder’s Cup. We think he, you know, we think by his record that we do think he’s one of the best sprinters in the country. I’m not sure Saratoga’s going to tell us that but the decision would be to see how he does at Saratoga with a caveat about the track in the post position and we all know it’s the grave yard of champions and we’re going to reassess him after that race and decide if we’re going to go to the Breeder’s Cup or decide if we’re just going to kind of pull up and start back at Fair Grounds which is one of my favorite tracks. Will Springstead: You mentioned at Saratoga you feel it’s just how they handle the track. Forgive me for not knowing, do you have some history there, is it a bad history? Do you feel that way about Saratoga more than other tracks or is it just something that you feel is always the case and especially with sprinters. Maggi Moss: Well I watch an awful lot of racing. I watch a lot of Saratoga. I’ve watched Saratoga of course for years, more than Del Mar. I’ve certainly talked to a lot of people, a lot of trainers, a lot of jockeys. I think Saratoga does play heavier and deeper than a lot of tracks. I think sometimes it can have different biases. My experiences at Saratoga was obviously so many ways last year, one that’s been away in the Schuylerville. I watched horses—I find that horses either really love the track and really do well over the track and some horses really struggle over the track. If you watch the first, two or three weeks of Saratoga, you know, you’ll see two or three horses be brilliant and you’ll see the rest of the field. It looks like they’re struggling with the track in races. So that’s just my observation and it doesn’t mean I have a clue what I’m talking about. But I think at any time you go into those races, you need to work over the track, maybe have a race over the track and I think that helps. I don’t think you can predict what horses are going to like that track because I do think it’s a different sandier surface than most race tracks. Jim Mulvihill: Maggie, how did So Many Ways come out of the Prioress and where might we see her next? Maggi Moss: Well thank you for asking. So Many Ways by the way was a filly that was handling the track beautifully up there. She was absolutely training, I think, the best she ever had. She was liking the track. Anyone that has watched So Many Ways in her victories, the Churchill or the Spinaway, it’s clear that she is a one turn horse and a sprinter. It was also clear that she needs to be off the pace and make one run. That’s her running style. I absolutely believe Joel Rosario is one of the best jockeys in the country, not to mention, one of the nicest people. After the race, I think he sadly decided to ride his race and her being up on the lead, I think cost her the race. Otherwise I think she could have won. It’s not her running style to be close to the pace and please understand I was honored to have Joel Rosario but that’s not her style. She came out of the race great, we are going to run her on the track. Jim Mulvihill: Very interesting. Okay. You sustain a large successful stable over several years now and use a lot of different trainers and I think most trainers in this country would love to work for you. What do you look for in a trainer. How have you determined who gets your horses? Maggi Moss: Well I don’t want to be very sarcastic but you know the rumor in this country is I’ve been through more trainers than men and I have been through a lot of trainers and I’m down, ironically, to two trainers right now. I don’t know if people know that. I’m down to Tom Amoss and his former assistant Chris Richard (ph) and my reasons for that are very simple. The welfare of my horses and the honesty as to their condition and what happens to these horses is my number one priority and I’m really have to tell you, those are the two that I talk to every morning and I feel have given me the best understanding of my horses and where they should run or get a break and I have not had a lot of other luck in that regard. Jim Mulvihill: And yet you do seem to do a great job of scouting your horses, I mean you’re a short price very often and you’re in races that you can win. How would you describe the overall philosophy of your stable and how you pick those stocks. Maggi Moss: Well I think, quite frankly, I think Tom’s and Chris’s horses look fabulous no matter what they are, they’re claiming horses, they’re stake horses. I think their feed program is great, the horses look great. Just yesterday, to give you an example, I have kind of philosophically not—I don’t drop horses because they’re hurt, I don’t drop horses because I need to make them someone else’s business. You can make that claim and drop them not because you want to make them someone else’s problem because you made a claim that isn’t as fast as you thought. I’m an overhead person and a welfare person so if you combine overhead and with the welfare of the horses, I think you get a pretty good program. Just today I claimed a horse last couple of months ago named Kelly’s Lake, I paid $25,000 for the horse. My trainers know instead of running it for 5 or 7500 just to get 7500 is not what I want to do anymore. That horse was just given to Zoe Cadman, back to Zoe Cadman. So you got to do it the whole way. I think we spot horses based on numbers, based on their speed figures, based on races and I think if you put horses in the right spot without fear of them being claimed, I think it’s—I hope it’s that simple. Jim Mulvihill: It’s working for you. Maggie Moss thank you for joining us today and we wish you the best of luck on Saturday. I’m sorry Sunday. Maggi Moss: Thank you so much. Jim Mulvihill: You got it. Maggie Moss, ladies and gentlemen. And now we’ll turn our attention to the final guest of this call and that is trainer Ron Ellis. Ron’s been training since 1980 and he’s saddled numerous Grade l winners, names like Buzzard’s Bay, Declan’s Moon and Rail Trip and at Saturday’s Del Mar he’ll saddle the five year old mare, Include Me Out. Is looking to compete in the Grade l Clement Hirsch going a mile and sixteenth. That race is a win in your in proposition for the Breeder’s Cup Ladies’ Classic. Ron Ellis, welcome to our call. Ron Ellis: Hi, glad to be here. Jim Mulvihill: Well we’re glad to have you here. That was a heck of a work that Include Me Out had yesterday a half and :46 and four. Was that what you were looking for? Ron Ellis: Well I thought she needed a sharper half, I mean I told Joe Callum out to go somewhere in the :47 and change. I’m certainly not going to false him for missing by two fifth of a second but she was breathing and it was a very good work sheet. She’s run well over that track before and I think she liked it. Jim Mulvihill: Excellent and she had about seven months off before her comeback in the Desert Stormer. The first of that race was $77,000 but it was an incredibly deep field. What can you tell us about that race and that effort. Ron Ellis: Well yes, there was several Grade l winners in there including my other filly Petty’s Promise. You know that was basically designed to be a workout for Include Me Out, just her first race back. She wasn’t even a stake winner, sprinting going into that race, so we had no illusions that she would be able to win that. I thought my other filly would win but anybody that saw the race, you know, she just got a horrendous trip down the inside, took out (ph) out, hit the rail at the quarter pole, but Include Me Out I thought ran a super race that day because she was just pulling Joe Talamo on her saddle all the way and you know Joe never did (inaudible) his stick or move his hands on her. Basically a workout and the workout went very well for her. Jim Mulvihill: Fantastic. Well I’m going to let the National Media have a turn at asking you some questions. Michelle does anybody have a question for Ron Ellis? Danny Brewer: This horse has been in the money twelve of the last thirteen starts and seven times in the Winners Circle. Do you think she gets overlooked sometimes as far as how good she really is? Ron Ellis: Well I really thought that going into the Breeders’ Cup last year, that she was kind of being, you know, understated and I think somehow it had to do with her running on synthetic race tracks for part of the year. But she ran such a big race in the Breeders’ Cup, Ladies’ Classic last year. I think she opened up some eyes in there but still there was nothing wrong with her at the end of that race other than being a little bit on the tired side. Coming into this, the racing form didn’t even list us in the top ten as fillies and mares, so she won the Desert Stormer, they didn’t even have her on the list which I thought was kind of embarrassing. Danny Brewer: As far as the Breeders’ Cup being back out there on the West Coast at Santa Anita, does that give you guys any kind of like home court advantage and do you think being from the West Coast hurts you in the National scope of things with the polls and what not? Ron Ellis: Well, I think, I mean I’ve always been of the opinion that there’s a little bit of an East Coast bias in the media, there’s just more race tracks on the East Coast and more people riding back there so they’re exposed to the horses that run on the East Coast a little bit more than out here. We’re a little bit of an island out here to tell you the truth, but I don’t worry about that too much. It doesn’t give the people as much chance to get as close to these horses, so probably in the National spotlight, that sort of little bit. As far as the Breeder’s Cup being out here, I definitely think there is some home field advantage, especially when you know your horse likes the race track at Santa Anita which fortunately for us Include Me Out does. Danny Brewer: As far as the Clement Hirsch, you guys won it last year. Repeating in anything is tough, what’s the challenge going to be like this year? Ron Ellis: Well, it was a totally different situation last year. We had a filly last year that had been running all year. She broke her maiden at Del Mar the previous year in 2011 and she was running all the way through Santa Anita, had won a Grade ll and a Grade l and she went to Hollywood, she won a Grade ll in the Vanity. Probably was the best horse, she opened up a little bit early and then had to pull her stuff up and got a little bitey, but she was a very fit horse going in the Clement Hirsch. Last year—after the Vanity I had a little bit of trouble with this filly keeping weight on here, she was just kind of tired filly and I really give her a ton of credit for firing up the way she did throughout the year and she was just doing that all out of heart but I knew that she really needed a rest so after the Breeders’ Cup we just decided, let’s just turn into half a year for her, give her her best chance at the Breeders’ Cup. Because being beaten by Royal Delta we didn’t think we would find anything tougher than her this year. That was our plan, so far so good. Danny Brewer: Talk for a moment—this is the last for me. Talk for a moment about SurfnTurf that is Del Mar and what about it’s magnificent and why you like running there? Ron Ellis: Well Del Mar is very much like Saratoga, it’s the seasonal race track that really gets an energetic crowd. You know when you’re there, the weather is beautiful, it’s nice every day. Like I said, the crowd is just spectacular, people are very excited to be there. A lot of people that don’t normally go to the race are there and they’re excited to be there so it’s kind of a festival atmosphere and that runs for the whole seven weeks of that meet. The purses are great because of that, they get such a good on track handle, the purses are spectacular. It’s just always been a very fun meet and because of the energy of the crowd and always nice and do well down there. The one thing I would say is that the race track down there is very similar to the Keeneland race track in its makeup. It is affected by weather, when you have cool weather, it’s a little bit tighter, faster track, that’s the way (inaudible) like it. When it heats up, I’m hoping it’s not a hot day that day because when the synthetic race tracks get a little bit sticky Include Me Out struggles with them a little bit. That’s what happened to her in the Vanity, it was a warm day the track was just kind of dead and tiring and she struggled with it a little bit. If we can catch a cooler day at Del Mar it’s going to be for her benefit. Jennie Rees: Yes, Ron, do you think we’ve seen her best yet? Like her best race, think (inaudible) still room for improvement? Ron Ellis: Hi Jennie. No I really don’t think we’ve seen her best race. She, like I said, as she was developing she ran some very good races, I thought her race in La Canada, which was her first race stretching out was a super impressive race and then she came back in Santa Margarita and was Grade l and just dominated. Like I said, after that, she started just kind of getting a little bit on the tired side. I tried to spread her races out as best I could, I knew it was going to be a long year. But understandably when they start running, a lot of times these fillies can get a little bit tired so I’m hoping that this year is going to be even a stronger, better filly. Be quite fruitful (ph) for me, in her workouts, she’s working (inaudible) filly than she was last year and I think in the Desert Stormer, certainly didn’t do anything to dissuade, at least I’m thinking that. Jennie Rees: Are you looking forward to another crack at Royal Delta in the Breeder’s Cup? Ron Ellis: Well I don’t think anybody ought to go out looking for a showdown with Royal Delta, but if it were to be, I certainly wouldn’t back down if my filly is in as good a form as she was going into last year. You know this race is kind of a key race for her because it’s her first time going around two turns, it’s going to be her first big challenge coming back. She doesn’t have a lot of foundation underneath her, just the one sprint. You know I would say that she’s a touch vulnerable in this race, just because of her last racing but, for me, she’s a stronger filly than last year and our real goal is the Breeders’ Cup and if she comes up a little short in this race it’s not the worst thing that can happen to her but obviously we’re hoping to win it and move forward from there. Hopefully get another chance at Royal Delta. Jim Mulvihill: Ron I just wanted to get a little more from you about her consistency, you know, Danny mentioned her overall records, 7 of 14 and 12 of 14 in the money. That’s certainly in part a tribute to your management and the management but it’s rare to get a horse that shows up every time, right? What would you say about how special that is. Ron Ellis: It definitely is and you know, Samantha, you mentioned her, she has just been wonderful to work with. When her horses need a little bit of time or anything like that, she’s all for it. She’s very, very helpful and doesn’t put any pressure on you. That’s what I’m saying, with this filly last year I was really excited that she came out of the Breeders’ Cup Ladies’ Classic so well as far as physically. She didn’t have any ailments, she was travelling sound, but she was just thinner than I would have liked and I certainly expected that with the long campaign that she had. She danced ever dance Grade l at each rack at the circuit out here last year. Her guts, I don’t think, are in question at all and you know it’s hard to get a filly that’s that consistent and somebody mentioned earlier, do I think she doesn’t get enough credit, I definitely think she doesn’t get enough credit for that. You know, like I said, she had to run third in a challenging third in the Breeder’s Cup to actually open some eyes. If she can win this race at Del Mar this Saturday, we’re going go ahead and skip and just wait for the prep for the Breeder’s Cup at Santa Anita. If she comes up a little bit empty in here, we might look at another race down at Del Mar and just figure she might need a little bit more seasoning. I actually planned after the Desert Stormer to bring her back and run her again at Hollywood going seven furlongs. Thought she might need two races to get her fit for the Clement Hirsch because Clement Hirsch was one of our first big goals for the year. The way she ran at Desert Stormer we just kind of thought it was better to keep her on the fresh side and we’ll see, hopefully that decision pans out. Jim Mulvihill: Hopefully so. We wish you luck on Saturday in the Clement Hirsch and we all appreciate you being with us today. Ron Ellis: Okay, any time. Thanks a lot for having me. Jim Mulvihill: All right, Ron Ellis and with that, that concludes this week’s National Media Teleconference. In addition to Ron we want to thank once again, Ian Wilkes and Maggie Moss. As a reminder there will not be a call next Tuesday. Our next conference call will be August 13th. That will be in advance of the Arlington Million to Alabama, the Sword Dancer and Del Mar Oaks. All that, that following weekend. As always if you’re working on a story, let us know how we can help. Always feel free to contact any of us here in the New York office.